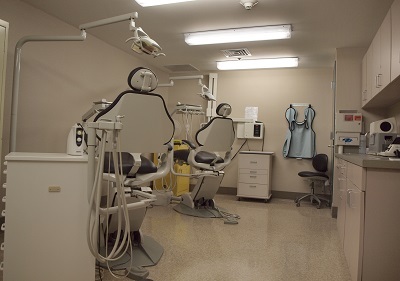 Lorraine M. Dailey was contracted to abate, renovate, and add onto the existing Health Services Building. 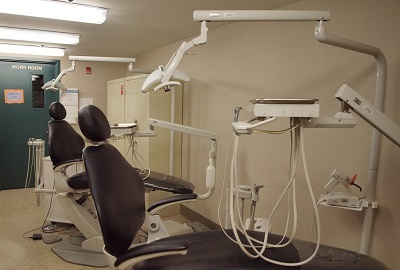 After abatement and mold remediation the Health Services Unit was completely gutted and renovated. 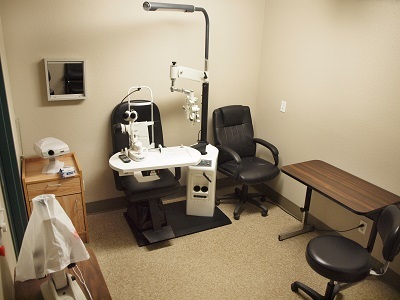 Exam rooms, dental, optometry, urgent care, negative pressure cells, medical records, medical offices, break room were renovated and upgraded. 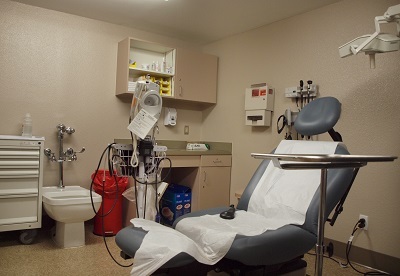 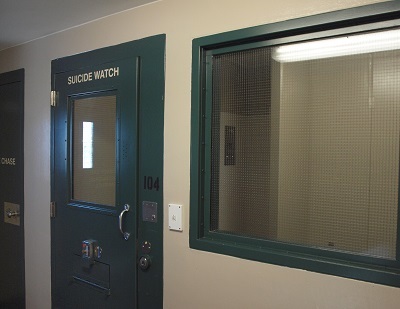 A new addition provided 14 new infirmary beds including two negative pressure beds and two suicide watch rooms. 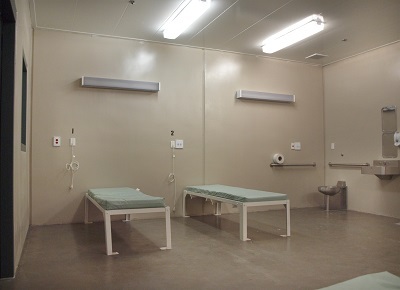 The new nurses’ station was located between the existing HSU to the new 14-bed infirmary. 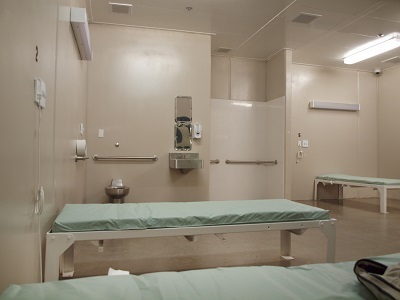 The strategically placed glazing allows the nurse staff to see the waiting room, existing building functions, and the new addition. 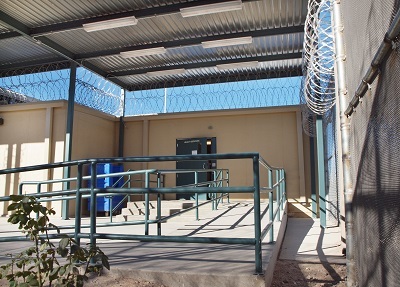 Additional improvements included ADA ramps, a covered outdoor waiting area and HVAC upgrades.